Properly sealed ducts can reduce energy consumption by at least 20 percent. Aerosol sealants could prove to be a valuable tool for the industry, allowing those with commercial HVAC training to better serve clients with tough-to-access ductwork. 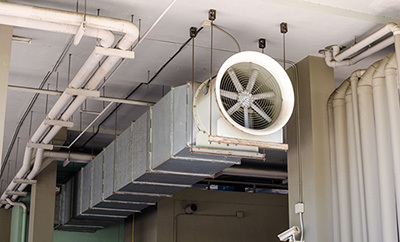 The average commercial building in the United States loses about 25 to 40 percent of its treated air due to leaky ductwork, based on estimates from the Department of Energy. Additionally, a survey from the Building Commission Association discovered that 75 percent of respondents cite leaks as a major influence in energy loss. Leaks aren’t just a threat to energy efficiency; they also affect a building’s internal air quality. For example, as indicated above, the Marriott Hotel in Atlanta struggled with musty odors for years before it received commercial duct sealing. How Does Aerosol Duct Sealing Work? As explained in Energy Manager Today, a non-toxic aerosol mist is spray which seals leaks from the inside. When the sealant solution is blown, microscopic particles hang together and find the leaks forming a bond until the holes are sealed. Seeing that leaky ducts affect both indoor air quality and energy consumption, the U.S. Department of Energy, the EPA, and others sponsored research to find a solution resulting in aerosol duct sealing. Finding duct leaks and sealing them boost energy efficiency, indoor air quality, and occupant comfort. It can even prevent carbon monoxide gases from being drawn back into a building. Now professionals in the industry have another tool to repair leaky ducts more efficiently and providing better indoor air quality. As technology constantly advances and people and businesses look for more energy efficiency, aerosol duct sealing will most likely be a lasting trend.